The bridge closed June 20 after an inspector discovered leaking hydraulic fluid, used in the mechanism that allows the bridge to swing open. 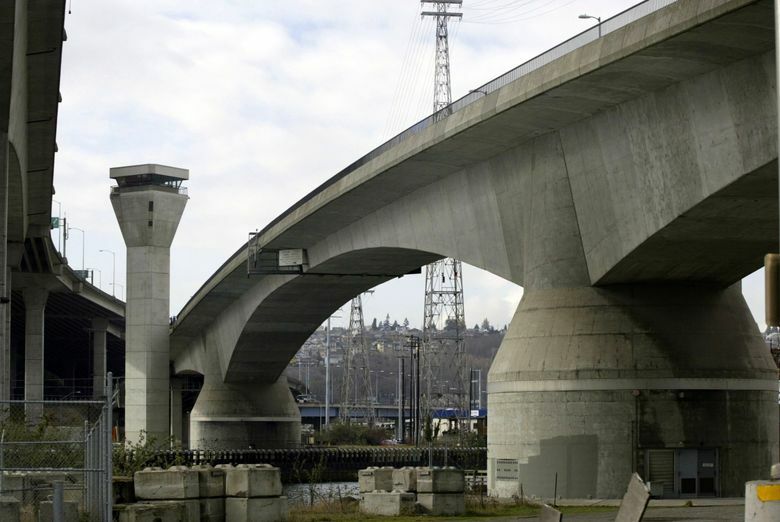 The Spokane Street Bridge, the lower-level span connecting West Seattle to the rest of the city, reopened Tuesday afternoon, after it was closed for emergency repairs for six days, the Seattle Department of Transportation (SDOT) said. The bridge closed June 20 after an inspector discovered leaking hydraulic fluid, which is used in the mechanism that allows the bridge to swing open. SDOT said that the leak was inside the cylinder-machine house, a self-contained area, and that “only a small amount” of hydraulic fluid had leaked. The agency initially estimated the bridge would be closed for at least a week. About 15,000 cars use the bridge each weekday and about 1,400 bikes were using it each weekday before the closure. SDOT ran a shuttle service for several days during the closure, to transport cyclists across the taller West Seattle Bridge.